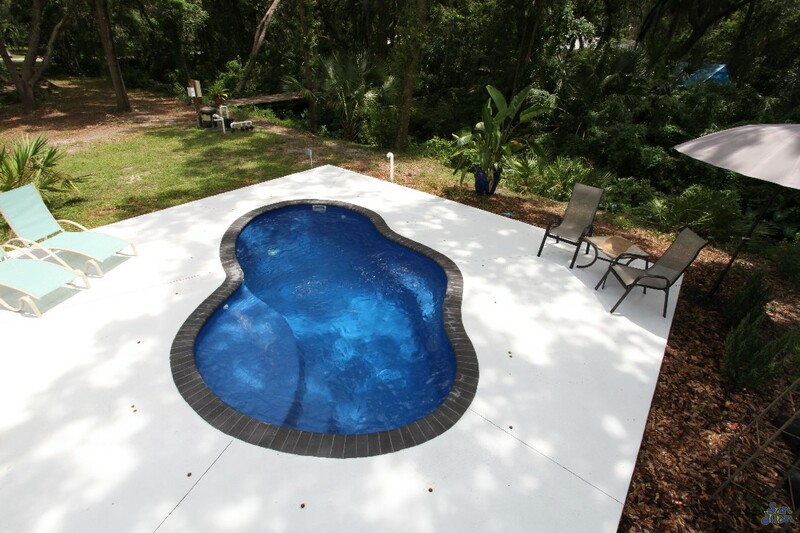 The Crystal Cove is a free form & compact fiberglass swimming pool. 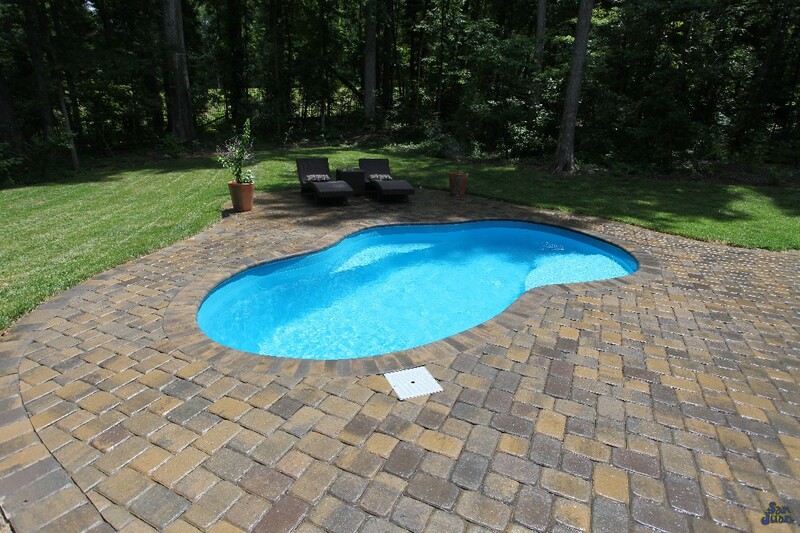 Able to fit in nearly any size backyard, this pool measures only 3,300 gallons. Including a tanning ledge and 5′ deep end, its petite frame backs a big punch with some amazing features! If you’re on the market for a hybrid swimming pool that can serve as a pool or spa, then the Crystal series is just the ticket! 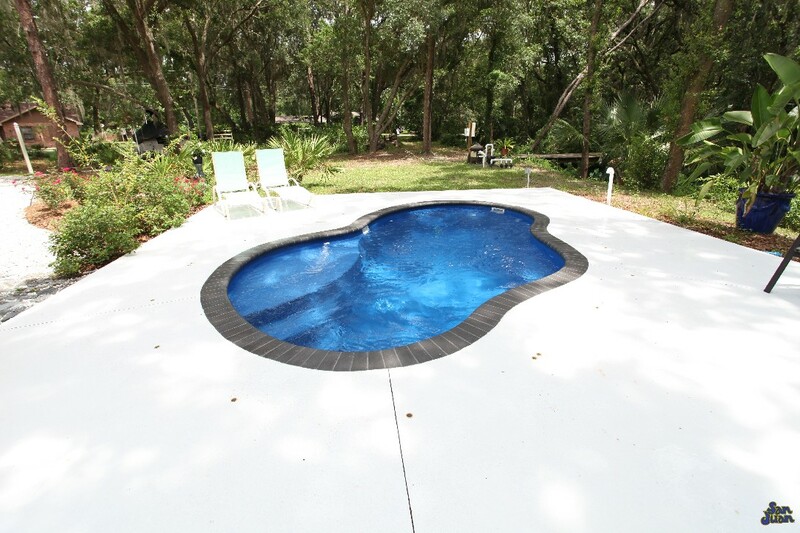 Here we feature the Crystal Cove fiberglass swimming pool. Although “technically a swimming pool,” the Crystal Cove holds only 3,300 gallons. Therefore, the Crystal Cove can be classified as a cross between a fiberglass pool and a fiberglass spa. This provides you the option of letting it cool off in the winter months or ramping up the heater as a cozy outdoor space. 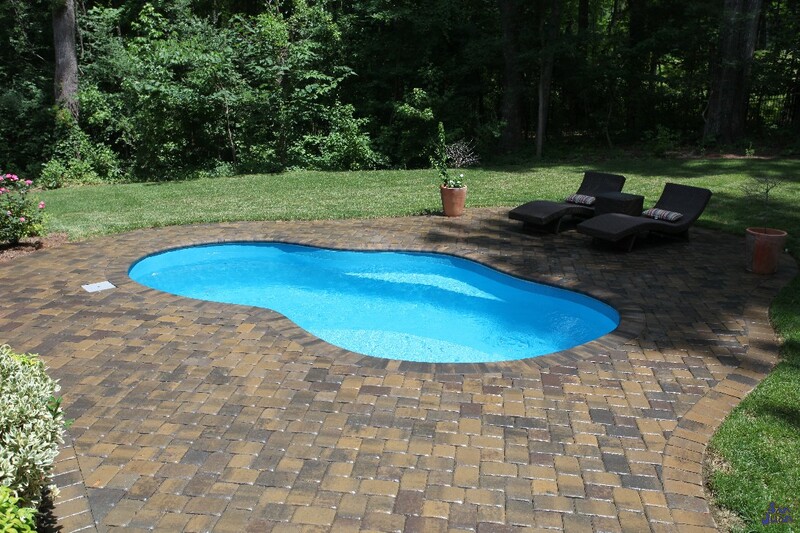 Aside from utilizing it as a hybrid pool, the Crystal Cove offers other fun features such as a classy free form design. The free form layout helps the Crystal Cove blend in with natural landscaping. Secondly, the Crystal Cove includes a convenient tanning ledge – located in the shallow end. This tanning ledge descends down into the shallow end via a set of corner entry steps. Although not a large tanning ledge, the Crystal Cove provides this shallow space for the user’s convenience. San Juan Pools designed the Crystal Cove to operate as a shallow basin meant for casual swimming and sun tanning. Therefore, the tanning ledge is a great space to to catch some rays and then cool offer in the Crystal Cove’s pristine blue waters. Crossing the Crystal Cove you’re sure to enjoy the modest 5′ deep end. This is a safe depth for most users and its perfect for senior adults and entry level swimmers. If you need a fiberglass pool for water therapy and calisthenics then the Crystal Cover is a great option! Our clients love the free form layouts that San Juan Pools has to offer. 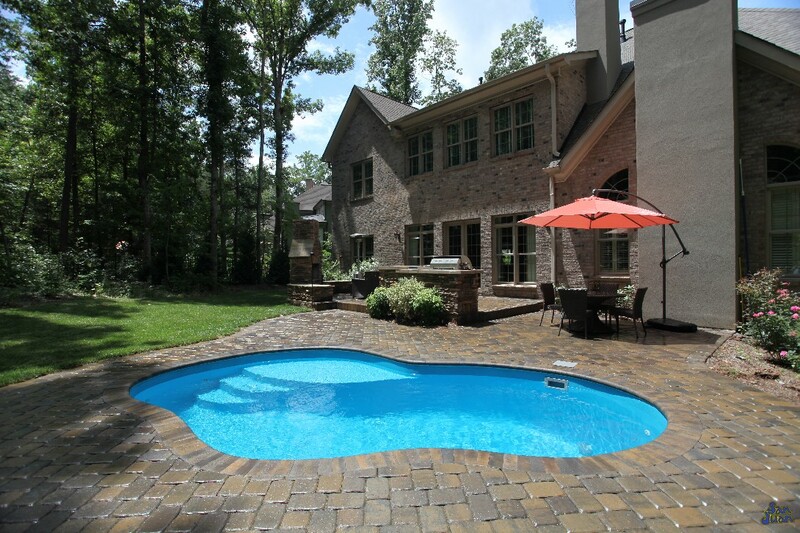 The enjoyment of these layouts is the elegance they add to any backyard. Secondly, free form layouts create a design that is both attractive and soothing. You can certainly create your very own backyard oasis by purchasing the Crystal Cove and pairing it with some natural landscaping and patio furniture. In addition to the benefits offered by the Crystal Cove, it is a very easy pool to maintain. Your chemical demand will reduce drastically by purchasing the Crystal Cove or any other of our small fiberglass pool models! In conclusion, the Crystal Cove is an elegant fiberglass pool designed to fit nearly any backyard. Create your own lagoon oasis by installing this pool shape with some natural landscaping. In addition, you’ll enjoy the fun features it also offers. From its convenient tanning ledge to the safe 5′ deep end, the Crystal Cove is meant to be enjoyed by swimmers of all ages. 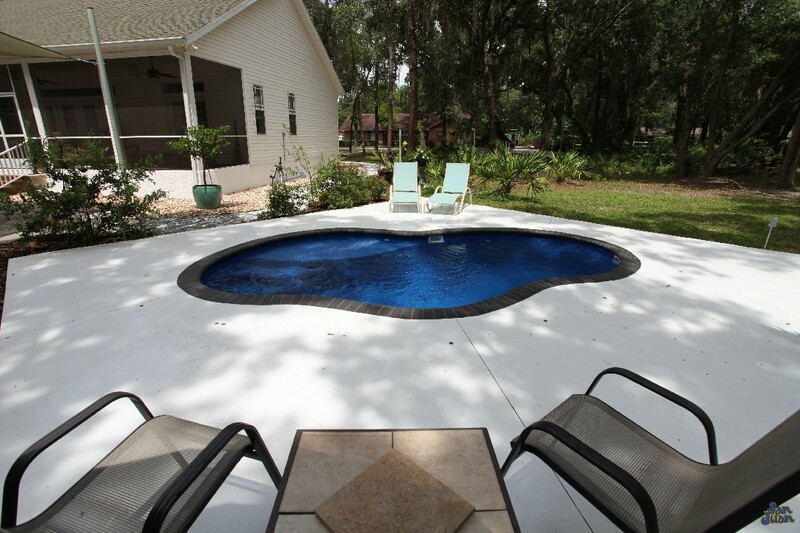 Lastly, the Crystal Cover is a very easy fiberglass pool to maintain chemically. Get your free estimate today!